It’s nothing like what Lebron had to go through and there’s definitely no television coverage but it’s still a decision. Now she says she hasn’t made a final decision. She needs until Monday to decide. When I left her office of Friday we had come to agree on all the points for leasing her space. I had given back quite a bit of what I was asking for. I increased the amount of the security so she would feel more secure. Now we wait, but while we wait we cook and bake and have some fun. 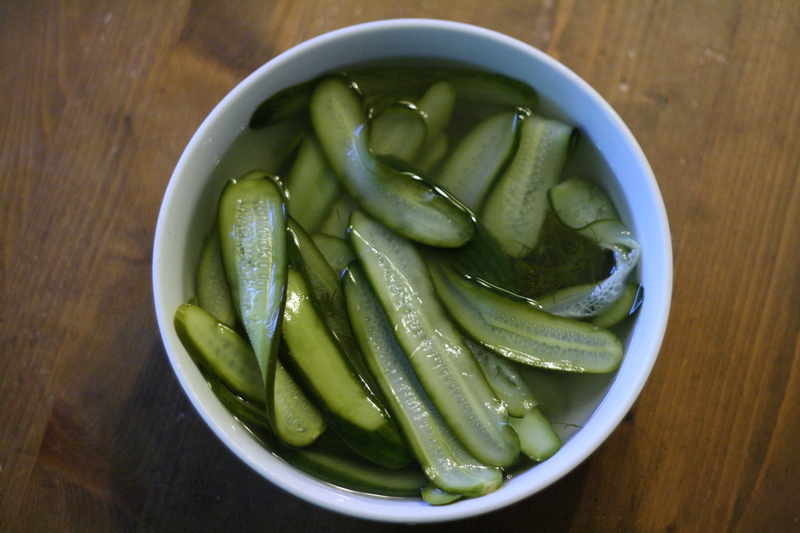 Yesterday I made homemade dill pickles to serve on the slow roasted short rib sandwich. When I got home last night I made a cold rare roast beef sandwich with sliced tomatoes, from the pot outside our back door, arugula and a horseradish mayonnaise. Today I am roasting chicken for an overnight camping trip. I will roast them in the wood burning oven. I season them with tons of kosher salt and coarse ground pepper. When they are done I will let them rest, cut them up and then drizzle them with the pan juices and refrigerate for the next day. To me there is nothing better than cold roast chicken. Tomorrow I will make our spicy Asian udon noodles. They are wheat free and gluten free and are made with lots of fresh crispy raw vegetables in a spicy peanut soy dressing with fresh cilantro. They were a huge hit the last time we made them for the family. Anne and I found two really cool antique pieces. One for inside the restaurant. The other for outside on the terrace. The one for outside will serve as a water station/work station. We will set it with 25 liter metal water cooler, Gibralter glasses and silverware. There will be fresh flowers. The piece for inside is very long, 96 inches. It will serve as a display area for all our pastries and as a location for the cash register.